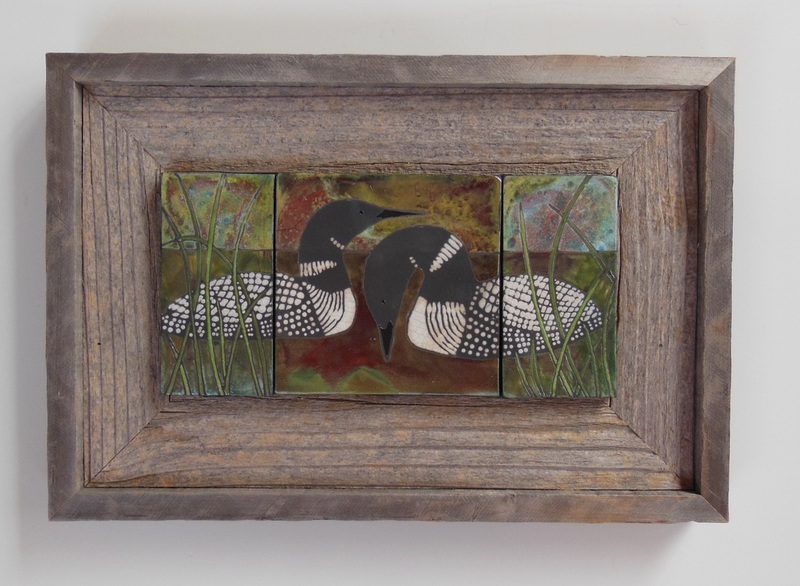 I have adapted the raku technique to combine the precise application of glazes and underglazes with the unpredictable firing process to create unique pieces of art. Contrasts in my designs are created through glaze types and luster while areas of smoke blackened clay create negative space. Carving and application of forms to the tile surface create depth. 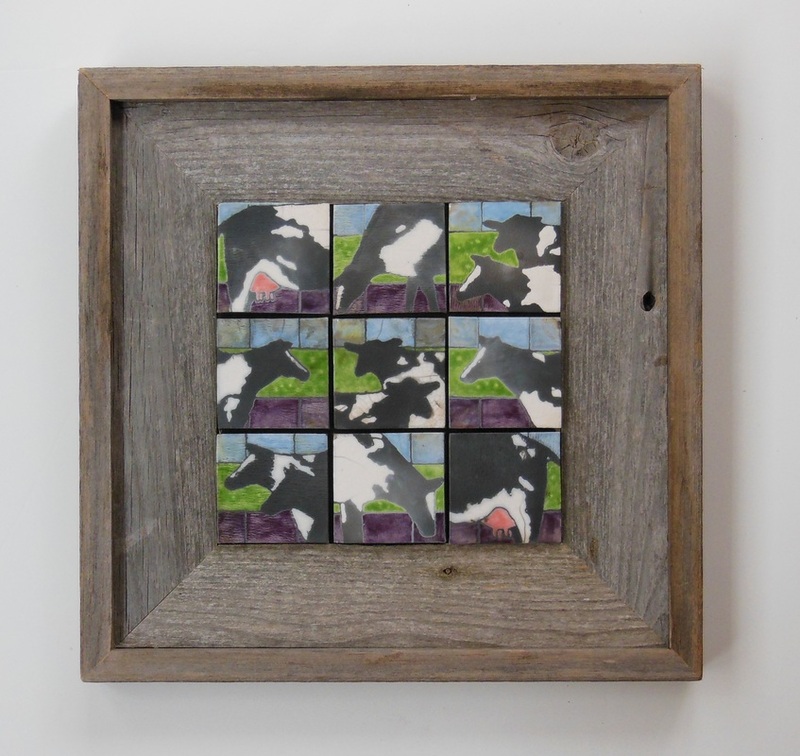 Tiles are framed in high quality barnwood which gives a rustic complement to the art.